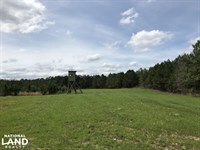 For the landowner wanting the perfect hobby farm and all around hunting place in an affordable package, this is the place. 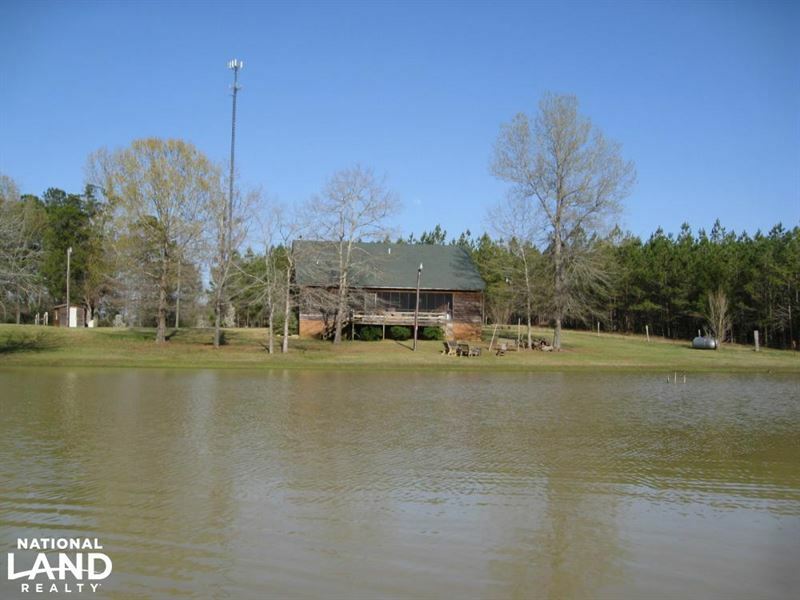 Deer, turkey, quail, dove, ducks, fishing and agricultural fields all in one package. 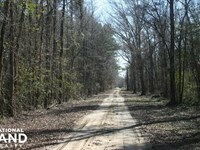 This recreational timberland tract is conveniently located just 3 minutes outside of Hayneville. 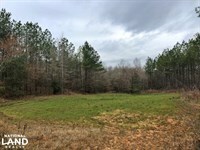 The property is convenient to I85, just 27 minutes from Montgomery, 90 Minutes from Birmingham and 2 hours from Mobile. 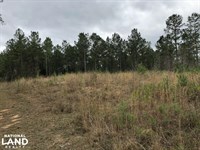 The property is level to slightly rolling Black Belt prairie with elevations ranging from 220 ft on higher elevations to 180 +/- ft near Big Swamp Creek. Soil types in higher elevations consists of Macon sandy loam soil types in lower elevations and along drains consists mainly of Leeper clay loam and Sucarnoochee silt clay loam. These soil types are excellent timber producing soils as well as agriculture crop producing soils. This property features a country home approx. 2,247 sq ft with 4 bedrooms and 3 bathrooms. A large kitchen, master bedroom/bath, rec room, second bedroom, main bathroom and open living and dining room are on the ground floor. Upstairs is 2 full bedrooms and bathrooms for kids or guests. This house is ready for a weekend getaway or a full time residence. For afternoon Toddy's and a discussion of the days' hunt, a nice big deck overlooking a stocked, 2 acre pond offer a beautiful sunset view. Lodge furnishings can be part of the sale but are not included in price. This is a great entertainment place.The property has been hunted only a little in recent years. Deer have been fed a variety of foods including high protein pellets. 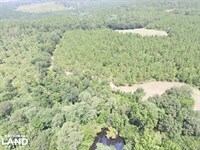 The large agricultural fields have been broken up with a Wildlife Biologist's design for targeting a mix of agriculture, loblolly pine strips and hardwoods to optimize the wildlife habitat on the property. Planting structure includes approx. 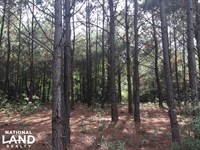 15 acres of pine strips, 20 acres of open pine/hardwood and 52 acres of new hardwoods planted in 2014. 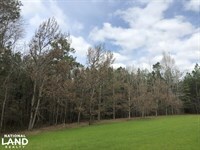 One hardwood area is flooded in winter and has mature, acorn bearing overcup oak. Excellent opportunities for duck hunting in the sloughs and wet areas. 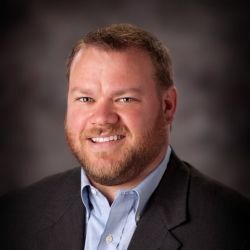 The opportunities for dove fields also exist. The remaining 180 acres of woodland is in mixed aged regeneration of oak, poplar, and gum. These hardwood woodlands also harbor a quality turkey population and the pine strips and fields support several coveys of wild bobwhites. The deer population is well balanced and supports an excellent population of older aged bucks in the 140 rdquo + range. This one is a must see. 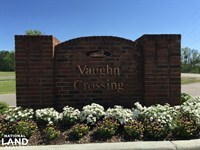 Call our office to schedule your private tour. 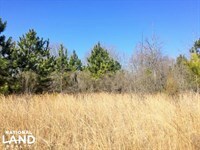 This recreational timberland tract is conveniently located just 3 minutes outside of Hayneville. 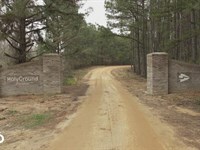 It is just a 19 minute drive from Gordonville, 24 minutes from White Hall and 27 minutes from Montgomery. Contact us for property location details.